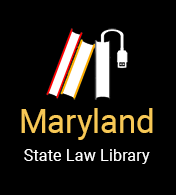 Allegany Law is a non-profit legal services program assisting low-income clients and seniors in Allegany County in Western Maryland in civil cases, except class action cases and suits for monetary damages. Allegany Law does not handle criminal cases. Assistance includes referrals to pro bono attorneys and representation by contract attorneys providing reduced fee assistance through legal clinics and court representation. Eligible clients are provided assistance with their cases at no cost. Uses Language Line telephone translation services. Free service in civil cases for income and asset eligible clients. People over the age of 60 receive free service without regard to income or assets in priority areas of law: income maintenance, health care, housing, nurtrition, and utilities. Allegany Law handles civil cases, except class action cases and suits for monetary damages. Allegany Law does not handle criminal cases. Cases accepted for service must meet the priority areas of law approved by the Board of Directors of Allegany Law.